In the cold winter months, you’ll probably want to be outside enjoying the snow when you get a chance – perhaps building a snowman or having a snowball fight with the kids. However, you’ll get cold, and you’ll want to come inside to your well-heated home. 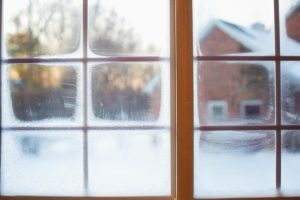 While you may have dealt with insulating your attic, walls and other areas of your home, if you’ve neglected your windows you may find that they become a source of very cold drafts. The first step to weatherizing your windows is to check for spaces in between the window frames and the windows. You can often see any gaps clearly as they will allow you to see straight outside. If you’re dealing with small gaps you can use caulking as a temporary solution. If you’re dealing with larger gaps, you’ll want to have professionals come in to repair or rebuild the wall. The benefits of weatherizing your windows will serve you well past this winter if done right. Don’t forget that doing the opposite with curtains or blinds in the summer will help keep your home cool, and the value of a house goes up when these kinds of details are covered. When you’re ready to sell your home, be sure to contact your real estate agent and they’ll be happy to assist.